Our award-winning Green Room Creative team continues to collect honors for its innovative design work. 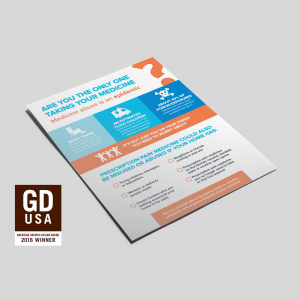 The team, a division of Green Room Communications, received several American Graphic Design Awards in 2014 and three more accolades in 2016. 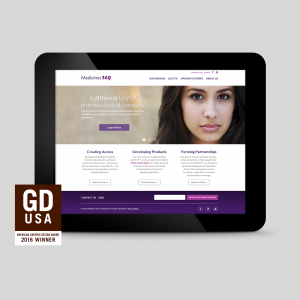 Out of a total of 10,000 entries submitted to Graphic Design USA (GD USA) this year, Green Room Creative was honored with three winning pieces: one for website design for Medicines360; a second for a medicine disposal checklist design for the Alliance for Balanced Pain Management; and third, a calendar design for agency self-promotion. This team of collaborative designers and developers is proving that in this time-tested industry, it has the creative acumen and drive to overcome creative challenges and produce noteworthy work. 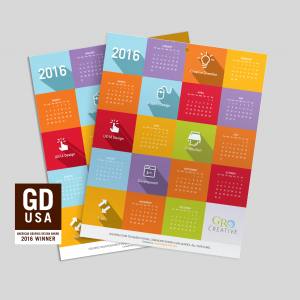 To see the team’s award-winning projects and/or contact the team to help you with your own initiatives, please visit their portfolio at www.grcreative.us.